If you love cupcakes like I do, you won’t want to miss the Cupcake Crew! 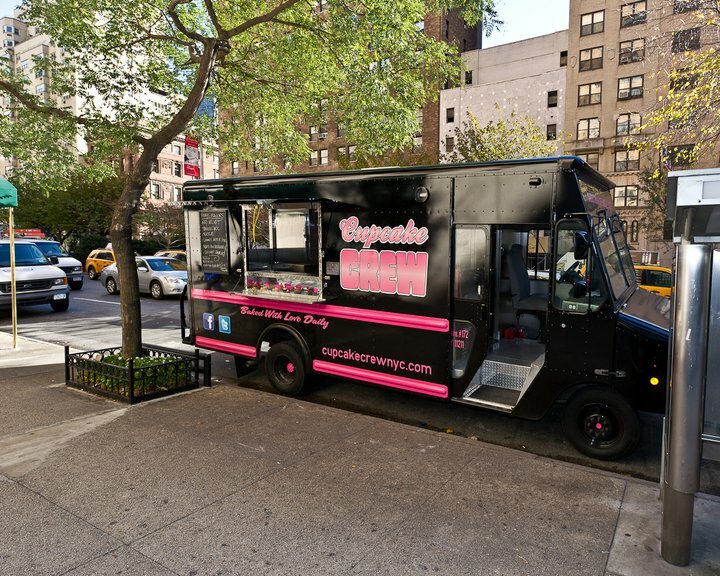 Being a food blogger who loves cupcakes, I know if I was stopping by any food truck in New York City it would be the Cupcake Crew’s cupcake truck. I was ecstatic that the were near where I was in SoHo on Saturday. 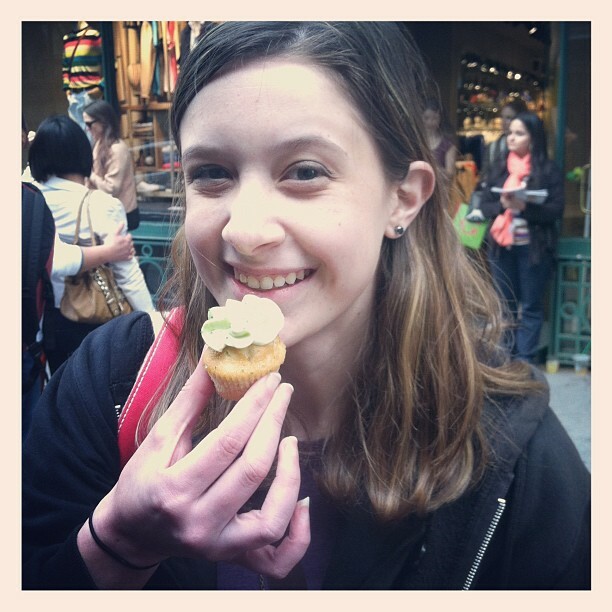 What better day to try the Cupcake Crew’s cupcakes then Cinco de Mayo? Customer Service- 5: I got excellent service when I asked about the flavors. The guy who ran the truck was super nice as well! Atmosphere- 4.5: Since it was a truck I can’t really judge the atmosphere but they had a crowd. You also can’t miss the truck because it’s black and dark pink so it stands out, you really can’t miss it! Cupcake Quality- 5: The cupcakes were delicious and had just enough of everything. They had a special Tequila Lime flavor because it was Cinco de Mayo and that was my favorite flavor. Every flavor I had was great. I got the minis but I’m sure if I got a regular sized cupcake it would’ve been great as well. They also survived the NJ Transit ride back to Jersey with me neatly wrapped in a bag, which says a lot. Price: $ – I got 3 minis for $5 which isn’t too bad for NYC prices. They weren’t too expensive at all & great to eat in the city or bring home. It was worth every penny because as I mentioned they survived the train ride. Final Score: 14.5/15 – These cupcakes are great and the prices won’t break your budget! You just need to make sure you can catch the truck. They post where they will be on their twitter @cupcakecrewnyc! Feel free to let me know if you agree! This entry was posted in cupcakes, food, nyc and tagged cupcake truck, nyc, smallchickbigdeals by smallchickbigdeals. Bookmark the permalink.